Depeche Mode are an English electronic music band formed in 1980 in Basildon, Essex. 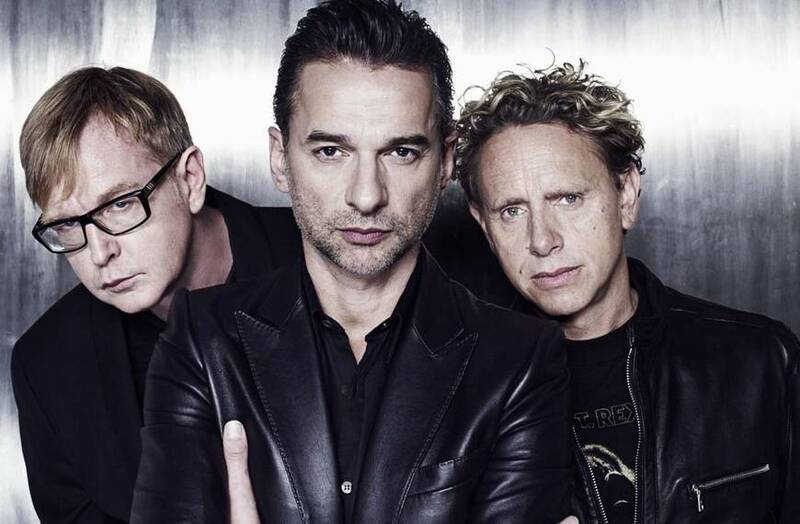 The group’s original line-up consisted of Dave Gahan (lead vocals, occasional songwriter since 2005), Martin Gore (keyboards, guitar, vocals, chief songwriter after 1981), Andy Fletcher (keyboards) and Vince Clarke (keyboards, chief songwriter 1980–81). Clarke left the band after the release of their 1981 debut album, Speak & Spell, and was replaced by Alan Wilder (keyboards, drums, occasional songwriter) with Gore taking over songwriting. Wilder left the band in 1995; Gahan, Gore, and Fletcher have since continued as a trio. Depeche Mode have had 48 songs in the UK Singles Chart and twelve top 10 albums in the UK charts, two of which debuted at No. 1. According to EMI, Depeche Mode have sold over 100 million albums and singles worldwide, making them the most successful electronic band in music history. Q magazine calls Depeche Mode “The most popular electronic band the world has ever known” and included the band in the list of the “50 Bands That Changed The World!”.